As an owner of a dog and a cat, I'm not the first to say that owning any pet other than a goldfish is going to be messy in one way or another. Especially with cats and dogs, pet hair can leave your home in a constant state of ick. Vacuuming every. single. day. just isn't an option for most people. The idea of a vacuum that does all the heavy lifting for you seems like a miracle, even if you've tried everything for removing pet hair. Well, that's because most pet owners feel the same way. A robot vacuum can help make keeping your pet-friendly home tidy a breeze. Not a lot of robot vacuums are meant to handle the challenges of pet hair, especially with long pet hair. 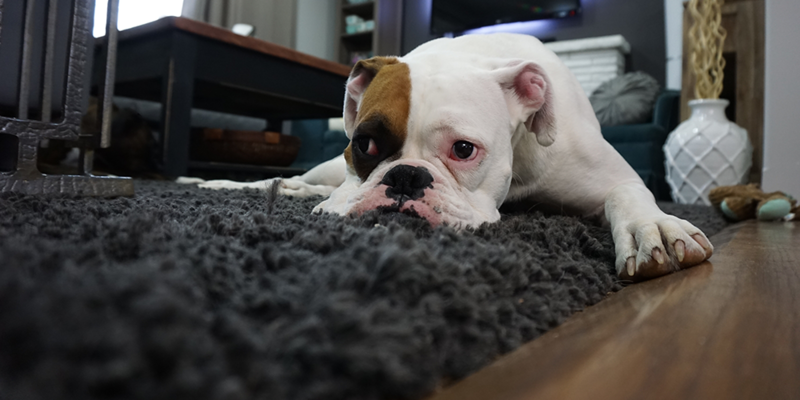 That's why we took the time to compile a one-stop-shop list of the best robot vacuums for pet hair so you can rest easy knowing you're making the best choice. You'll learn which robo-vacs are worth the money and which aren't, as well as which ones are designed specifically for pet hair and which ones you should stay away from purchasing. This top quality robot vacuum has all the power and features you could ever need. It is not the least expensive option, but is the most powerful option and is great for all types of pet messes and floor types. This mid-level robot vacuum is great at sucking up pet hair. It lacks when it comes to picking up medium size debris such as cat litter. A great option for dog-only households. This budget-friendly robot vacuum is great for your first robo-vac. It will pick up most pet hair and dirt, but lacks some features that come with more expensive models. This reasonably priced robot vacuum is by far the best all around choice for cleaning up pet hair and dirt. It is powerful, smart, and will keep your pet-friendly clean without you having to lift a finger. It's our top pick. The Roomba 980 is the cream of the crop when it comes to robot vacuums. It is also one of the most expensive. However, at its price point, you get a full suite of features that you won't get on any lower end models. There are a few other Roomba alternatives out there, but most of them aren't comparable to the 980, its a top of the line robot vacuum. If you're curious about the alternatives, you read our post about them. Learn More. For pet owners specifically, the Roomba 980 has rubber tangle free brushes that allow pet hair to be sucked up without it becoming tangled in the machine. The Roomba 980 is one of the most powerful robot vacuums you can buy and will make quick work of pet and human hair without you having to touch anything up. A few key things that set the Roomba 980 apart from the competition is its edge cleaning mode, floor mapping, and virtual walls. Many robot vacuums don't do an outstanding job on the edges of the room, but the Roomba has a mode that is precisely for this. So if your kitty loves a particular corner of the house, the Roomba 980 will make sure that stays tidy. The floor mapping ability will show you where your Roomba has been and will display this information within the app. You can then see what areas of your home your Roomba has trouble with, and either give those areas an old-fashion cleanup or move some furniture around to help your Roomba reach every last crevice. The virtual walls allow you to set virtual limits for your robot vacuum. Essentially, this means that you can block off areas such as a kids rooms or around the stairs to dictate areas you want your Roomba to avoid. The app is very simplistic, missing information such as battery life and how long each run takes. It will need multiple passes to pick up some larger dirt particles, making it not very strong for things like cat litter. Neato has been considered to be one of the top Roomba alternatives. For this list though, it holds up well against the Roomba 980 but is missing some of the key features. The Neato BotVac Connected is a wifi enabled smart robot vacuum that is great for all-around cleaning. This includes pet hair. However, unlike the Roomba 980, it lacks a tangle free brush and will struggle with medium-sized particles such as cat litter. 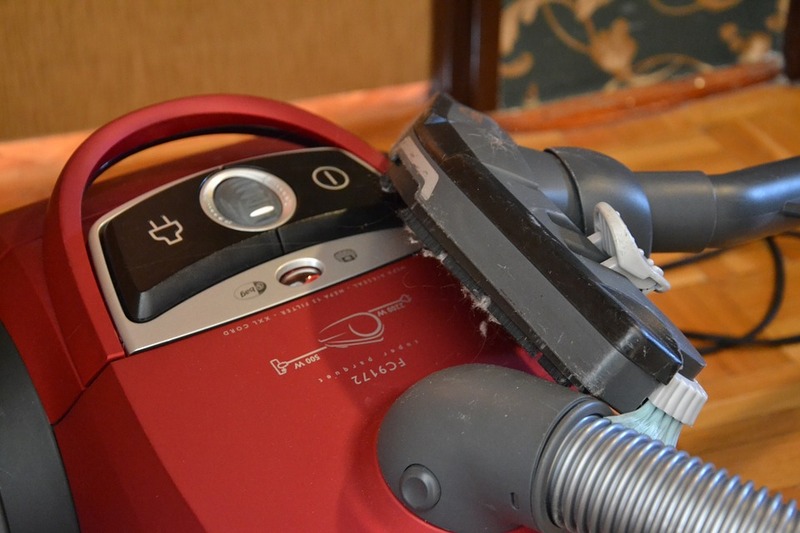 This vacuum is best for cleaning up small pet hair. Long hair will eventually get tangled, but when it comes to getting deep in your carpet to pull up short hair, it really can't be beaten at its price point. One of the most significant factors that set the Neato BotVac apart from the competition is how thorough it is with its navigations. Other vacuum models tend to go straight until they hit something, then change directions. The Neato BotVac first takes a radius of the room by going around the edges. It then maps out what it has to do, and cleans in a way that is similar to how you mow a lawn. This means it cleans in a structured back and forth path from the outside into the middle. The Neato BotVac Connected won our award for best overall robot vacuum. Want to learn more? Read the full list. This basic, entry-level robot vacuum will do a pretty good job at a price point that fundamentally cannot be beaten in its price range. It is a great first-time robot vacuum so you can determine if a robot vacuum is for you without having to spend a fortune. It is missing a lot of the upgraded features that make the most expensive robot vacuums worth the money. However, if you just want something that will do a good job cleaning up most the pet hair you have laying around your house, this is an excellent choice. The Eufy RoboVac 11 will do a decent job with cat litter, as long as the mess isn't too dense. It does a great job cleaning up areas where your cat may have tracked litter, but around the litter box where there could be hundreds of little rocks, it will only clean around 75% of them. This robot vacuum is best if you are looking for something simple that will help you with your cleaning. The Samsung Powerbot R7070 is the Roomba alternative for people with pets. If you are mostly about picking up pet hair and dirt but don't want all of the cool features that come with robots like the Roomba 980, then the Samsung Powerbot R7070 is the best overall choice. It is a wifi-enabled smart vacuum that is compatible with Alexa and Google Assistant. It can hold its own against the suction power of a Roomba, and its onboard camera means it will navigate effectively. It has self-cleaning brushes, so maintenance is quite simple. If you have pets, having a robot vacuum that doesn't need a ton of upkeep is a huge plus. Opting for a less expensive model could you mean you spend just as much time cleaning out your vacuum as you would sweeping your floor in the first place. Leaping to purchase a quality robot vacuum can be scary. This is especially true if this is your first smart-technology purchase for your home. There isn't one single "best robot vacuum cleaner for pet hair". The scale slides based on what your budget is and what types of pets you have. If you are budget conscious and this is your first robot vacuum, the Eufy RoboVac 11 is an excellent choice. It has a lot of great features at a price point that can't be argued. If you want the best value, the Samsung Powerbot 7070 is the best hands down. It is almost half the price of the Roomba 980 with almost all of its key features. It does great with pet hair and dirt as well. The one big thing most people won't tell you about when you buy a robot vacuum is what happens if your pet makes a mess in the house. MOST ROBOT VACUUMS WILL NOT SEE THIS. To paint you a pretty picture, if your dog isn't house trained, your robot vacuum could end up making more of a mess than it cleans. If you're not totally sold on the idea of a robot vacuum, you can always check out our list for the best upright vacuums for pets too! Let us know what you think about our list! Which robot vacuum are you going to get for you pet-friendly household?